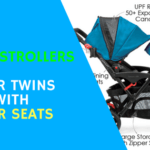 If you are a good investor then you want a onetime durable stroller which can be useful till your second baby, hence this Phil and Teds Dot Stroller Review can be convert into double seat stroller with car seat & bassinet option. Deep recline seat can accommodate child from infants to toddlers with the weight limit of 44 lbs. 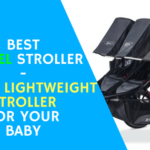 All terrain wheels, different safety measure & luxurious looks make this phil & teds dot review light weight stroller a complete stroller. Let’s star the discussion to explore some more features in phil & teds dot review details. 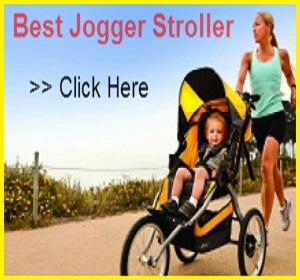 This stroller rolls on 10″ air-filled tires, the front wheel is swivel, but can be locked straight for more stability on rough terrain. It can be run on uneven surface like grass playground mulch or gravel. 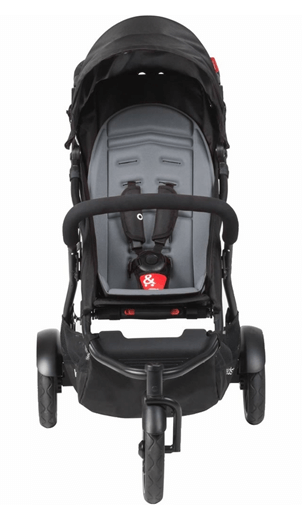 There is one foot brake located between the rear wheels which are not much friendly like other strollers & unfortunately there is no suspension to absorb bumps which I don’t like. 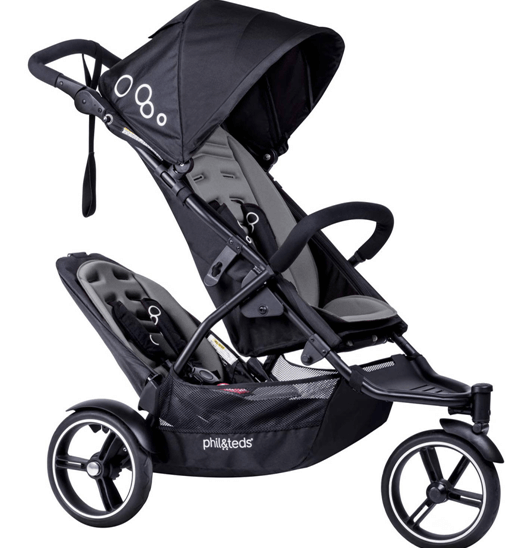 ü While reading this “Phil and Teds Dot Stroller Review” you may not be happy to know the canopy size as it is quite small or you can say less than medium size. There is small pop out sun visor for protection. ü The canopy is attached to the frame with two small straps that you can detach to convert it into a ‘floating canopy’. ü The good news is that you can move the canopy up and down the frame to accommodate height of your child. ü There is a large peekaboo window but there is no mesh window for air circulation. ü The seat is 11″ wide and 28″ high from the bottom of the seat to the top of the canopy. ü The seat can be used from birth and up to 44 lbs. It has a perfectly flat recline, so you can put a newborn into the seat. ü The canopy slides up and down the frame allowing you to choose the height. ü The second seat is not included, you have to purchase it separately, and it is a smaller seat that converts Dot into an inline double stroller. 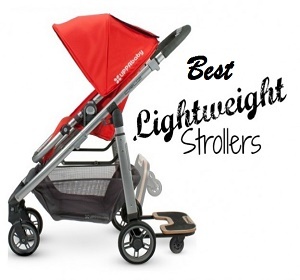 It is 13″ wide with a 22″ seat back and 24″ from the bottom of the seat to the top of the canopy. ü There are two places where you can attach the second seat: the front and the back. 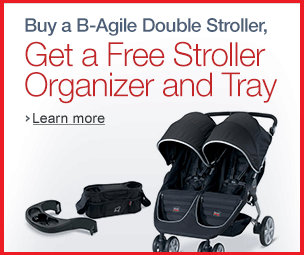 For a toddler you can attach the 2nd seat to the front of the stroller while your newborn will be in the main seat. With this combination the second seat can hold a child up to 44 lbs. ü The second option is designed for two toddlers. You can attach the 2nd seat in the back right above the parking brake. ü The 2nd seat in this position can hold a child up to 33 lbs and has a one-hand recline. ü You can replace the seat with bassinet & car seat for travelling. 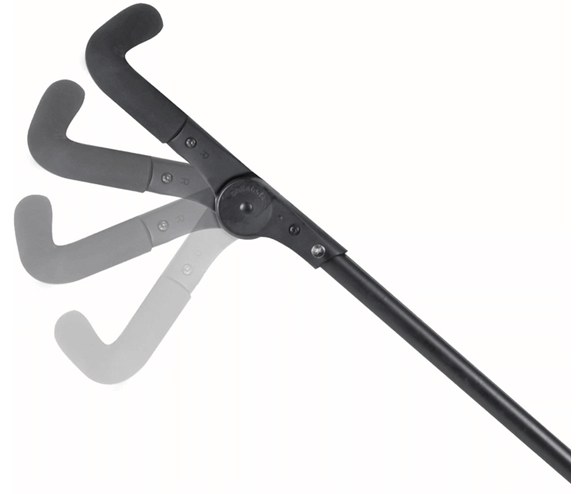 ü The handle bar goes from 32″ all the way up to 42″. The handle bar does not telescope. ü There is a run-away strap attached to the handle bar so when you are going down the hills so you can hold it for safety. 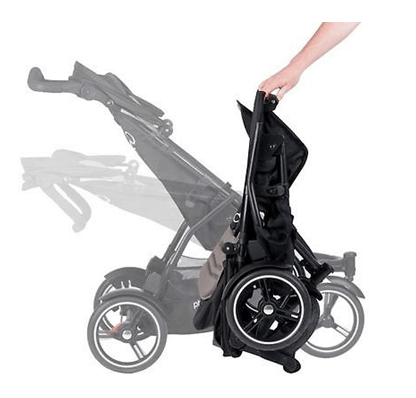 ü One thing you may not like in this “Phil and Teds Dot Stroller Review” the bumper bar is included & covered with nylon material & this is removable but not swing away unlike other stroller but it should be swing away I guess for convenient. ü The fold is really easy and can be done with one hand; you need to pull on the bar underneath the bottom of the seat and lift. ü It has an automatic lock, but unfortunately there is no standing fold. 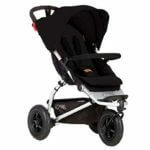 ü It has adjustable padded 5 point harness with a buckle which will hold your baby tight & safe. 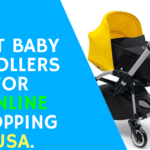 How can we forget this section in “Phil and Teds Dot Stroller Review” as moms are shopaholic & they do concern about storage for their shopping stuffs. So it has large basket to put your baby stuffs & some of your things too. There is no pocket to put your small items like keys, phone or a wallet. This is made out of 100% Polyester & the seat fabric is soft & washable. Phil & teds dot review is available in three beautiful colors: apple, chili, and flint. 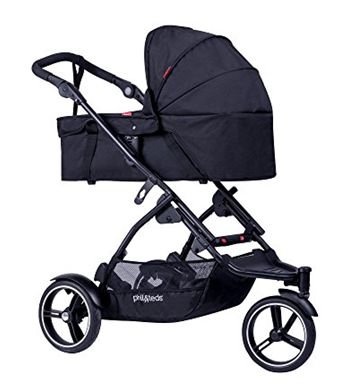 All strollers come with sleek black frame. So it’s time end this “Phil and Teds Dot Stroller Review” & you can get everything you expect in a stroller for your baby, I know there are few things to think about which is not up to the mark but according to me the priority features are good enough like weight, safety, durability, double mode options, luxuries look & Phil and Teds has 1-year warranty from the original date of purchase and you have to be the original owner. So if you are parents of two children then definitely it you can go for it as it will be very feasible for you.